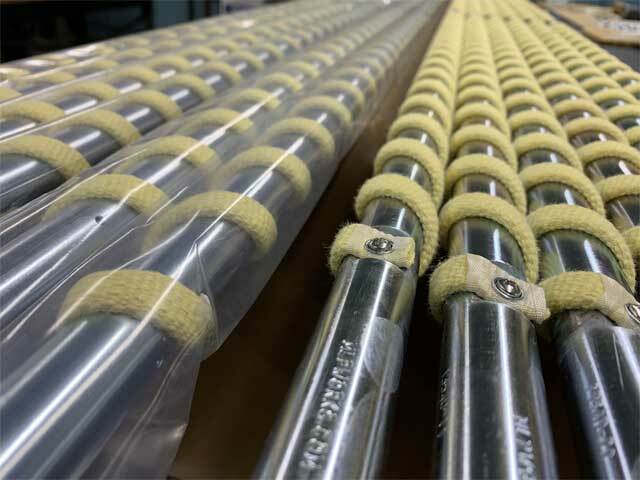 Mid'Lantic Precision Archives - Page 2 of 13 - MID'LANTIC PRECISION, INC.
Kevlar wrapped 86” oven quench rolls ready to go. Each roll individually sealed to prevent contamination. 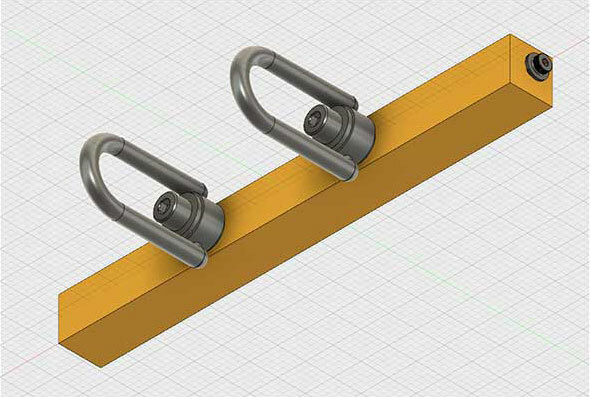 This entry was posted in Mid'Lantic Precision and tagged Oven quench rolls on October 20, 2018 by Domenic. This summer marks our 42nd anniversary as a precision manufacturer. MLP began as a dream that came to life in a garage. Sound familiar? Well it wasn’t Steve Jobs or Apple Computer, but it’s our roots. You see our founder Paul Martz, had an eye for detail that even the customer may have missed. This eye for detail resulted in a quality product for our customers. Forty-two years later that same attention to detail continues here at MLP. 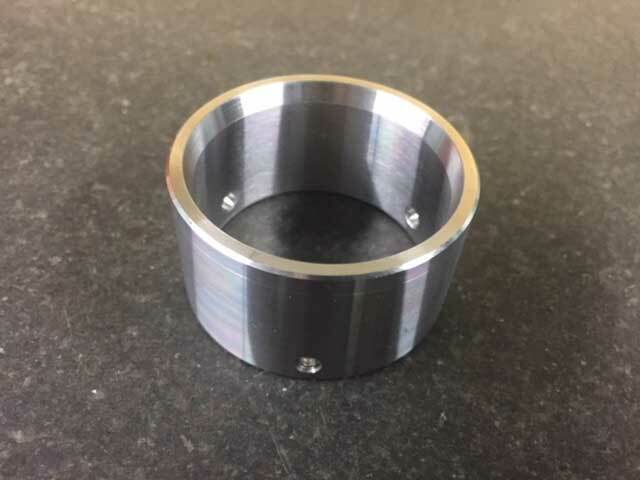 It is seen, not only, in the high quality of the parts we produce, but also in the care we give to our packaging and delivery, and the attention you receive when you contact us for a quote, an order, or even just a question. Our guarantee to you is: “We treat you as we would want to be treated as a customer – anticipating your needs.” After forty-two years we are proud to continue the tradition of craftsmanship and serving our customers. 3D sign we machined from solid aluminum, testing our design software and CNC milling machine integration. New for 2018 we have added a Mill-Turning center. Here’s a sample of what’s coming off the machine this week. Material: 1.75 bar stock 4140 Pre-heat treated. Drilled, bored ,turned and 3 equally spaced holes drilled around the OD. It comes off the machine complete – eliminating extra handling and improving quality. This summer marks our 42nd anniversary • Mid’lantic Precision Inc. 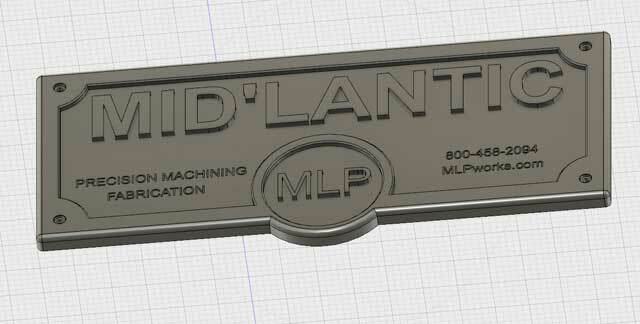 This entry was posted in Mid'Lantic Precision and tagged CNC, Fusion 360 CAD/CAM, Mill-Turning center on July 30, 2018 by Domenic. We are expanding our capacity in 2018. 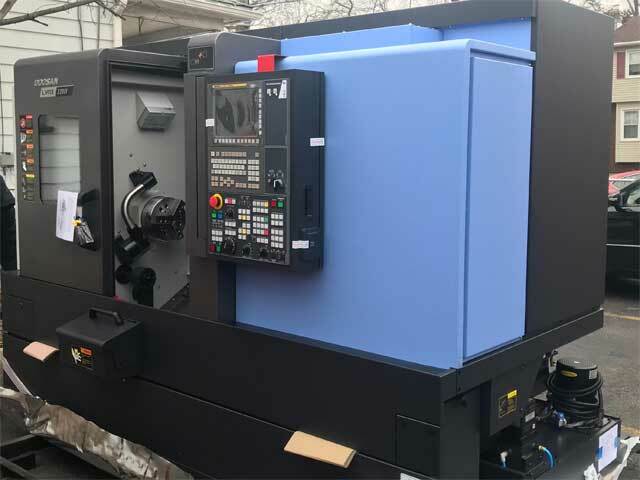 Doosan Lynx mill turn lathe arrived this week. Looking forward to making some chips next week and beyond. This entry was posted in Mid'Lantic Precision and tagged Doosan Lynx mill turn lathe on January 20, 2018 by Domenic.